Visionary leaders often believe that space doesn't matter, buildings cost too much, and facilities slow down the multiplication process. In this post, I will debunk these three common myths and share three truths about how facilities can lead to accelerated growth and improved stewardship of your church’s most valuable asset—your building. Scripture tells us that God was a creator. One of his first works of creation was to make space for man to live in, and he was intentional and strategic about the space that he created. Throughout the Bible, even when temples and buildings and walls were built, specific details were named, and things that were rare and beautiful and expensive were often the materials of choice. God provided a blueprint for these sacred spaces so that his people would enter his presence with reverence, and each space was designed to facilitate a specific aspect of worship—spaces for teaching, areas where sacrifices were made, altars where offerings were placed, and so on. Truth 1: Space does matter. The number one reason people go to church is to connect with God. In centuries past, churches were designed in such a way that the architecture of the building did the heavy lifting of drawing people to God. The layout and flow of a church building can greatly affect people inside the building and outside. Inside, space that’s designed with intention can help engage people and move them from merely gathering to giving, growing, and ultimately, going. Outside, the exterior of your building speaks volumes to your surrounding community. 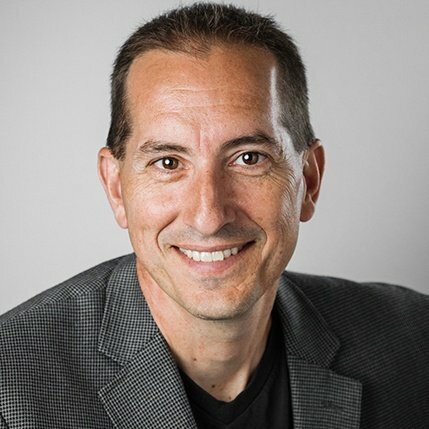 In the article, “Why Beautiful Church Design May Be the Best Way to Serve Your Community,” architect Matthew Niermann says that creating beautiful architecture is central to the church’s purpose to connect people to God, to others, and to serve the broader community. Investing in the aesthetics of a church building—its architectural and interior design—may, in the end, be one of the most missional, community-centric activities a church can invest in. Your facility is a billboard. Your building provides an opportunity to tell your story and engage your community. Does the design and maintenance of your church building show that you value your community? Myth 2: “Church buildings are too expensive. ”If we buy into the notion that space matters, then we need to dispel the myth that buildings are too expensive. Truth 2: Buildings are an investment. Facilities are typically the second largest expense for churches outside of staff costs. But just because something is an expense, doesn’t mean it’s too expensive. Defining something as too expensive is a stewardship issue, not a cost issue. In churches, people often believe that things that are cheap or free are good, and things that cost money are bad. In reality, things that are inexpensive or free for churches often end up costing far more than meets the eye. Something is only too expensive if it fails to help you achieve your ministry goals. At Aspen, our mission statement is creating space for ministry impact. Before we ever start to draw designs or recommend changes to a church’s building, we spend time discovering a church’s unique DNA. Ministry space must always serve the mission of the church. Otherwise it’s just new, shiny square footage. That kind of space is too expensive and a poor stewardship of resources. Space is only too expensive if it fails to align with the church’s culture, leadership, and ministry goals. Church buildings are a tool. If your facility enhances ministry and enables you to do what you’re called to do as a church, then your building represents good stewardship of your resources, and it's not too expensive. There's a common assumption that physical buildings make it difficult to expand quickly. Many businesses and organizations, however, use built space strategically to grow their presence and permanence within a community, and the same approach can work within the church planting and multisite movement, too. Truth 3: A facility strategy can accelerate church growth. The root word for facility is “facilitate.” Key to multiplying effectively is understanding how to select facilities that “facilitate” your ministry goals. Aspen collaborated with Barna Group on a nationwide study of the methods and models that churches are using to multiply. Our More Than Multisite study revealed that churches are using myriad approaches for expansion—portable church solutions, shared space, leased space, shared multipurpose space, house churches, microsites, multisites, church mergers, and more. Whatever your ministry goals, the churches that multiply effectively understand how to leverage their facilities for ministry impact, and they create a strategy for multiplication that includes selecting facilities that will advance their ministry goals. • Retailers are reinventing spaces that drive traffic (e.g. Amazon, Walmart). • Office complexes are developed to attract and retain talent (e.g. co-working environments). • Hospitals are designed to improve care and reduce patients’ stay by using strategic lighting, paint colors, and furnishings that foster serenity and healing. • Schools are built to spark learning and increase engagement among students. • Restaurants are furnished to create a new dining experience. • Manufacturing facilities are equipped to improve productivity. • Movie theaters are competing with home theaters, trying to create a homier feel. • Fitness centers are developed to engage members and inspire wellness. All of these spaces are designed to facilitate the mission of the organization. Isn’t it time for the church to recognize the power of built space, not as an afterthought, but as a central piece of an overall multiplication plan? 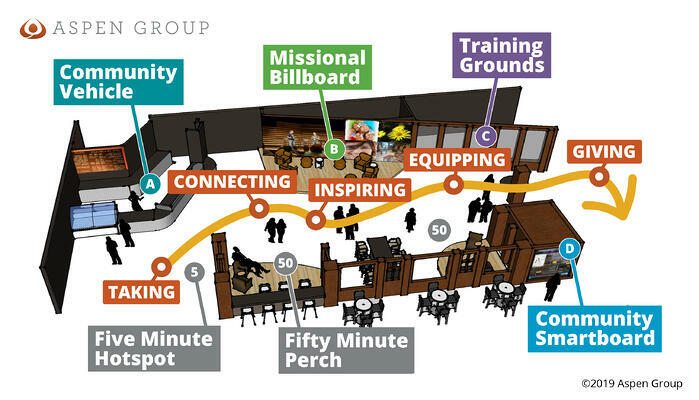 Aspen Group designed specific spaces to meet COMMUNITY’s needs to reach into the neighborhood—a new state-of-the-art auditorium for more than 1,100, a new cafe and lobby spaces to encourage conversation and connection, and a 1,000 square foot training center to mentor and train new pastors, church leaders, and leaders of every kind, including local school districts and businesses. Though the auditorium and new lobbies provide a top-quality venue for many types of events, it’s the addition of another space—a second-floor, glass-enclosed training center—that may have the greatest impact on both the church and the community. Community Christian Church’s renovation at their Yellow Box campus is a great example of how intentional space can lead to multiplication. Not all of COMMUNITY’s campuses are as large or comprehensive as Yellow Box. Each one is renovated to fit its unique community context and the particular mission of that campus. In the same way, every church that’s seeking to multiply needs to look at every angle, including how to leverage the built space in which you gather, as part of your overall strategy for multiplication. Buildings are not the enemy of multiplication. Myths about buildings are.